ChargeIt by Jay Gold Beaded Round Melamine Charger Plate 13"
Home > Products > ChargeIt by Jay Gold Beaded Round Melamine Charger Plate 13"
The Chargeit by Jay Gold Beaded Round Melamine Charger Plate 13" is an excellent addition to your dinnerware collection. Featuring a lightweight yet sturdy design, this melamine charger plate will resist breakage and keep up with commercial use. The plate is also easy to transport which makes it an excellent option for food service facilities that accommodate a variety of venues. 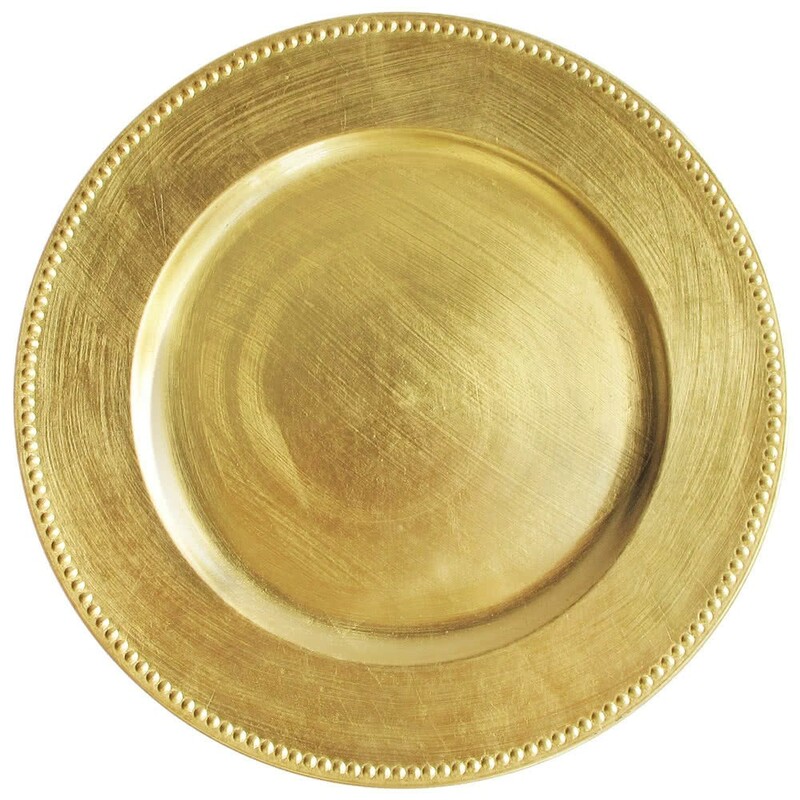 Boasting an elegant gold shade with a beaded edge, this charger plate will suit both upscale and casual settings. Attractive, easy to clean and hassle-free to maintain, this charger plate is an excellent piece for presenting all courses of a meal.